Fitness today is a far more integral part of daily life than ever before. We all want toned bodies, firm muscles, right weight and an appealing appearance. For that we do extensive workouts. Working out burns up calories and we need supplements to make up for the energy loss and to avoid exhaustion. A good supplement ensures that you get adequate and measurable essential nutrients. Sportspersons and athletes, especially, need supplements for stamina and post-workout recovery. 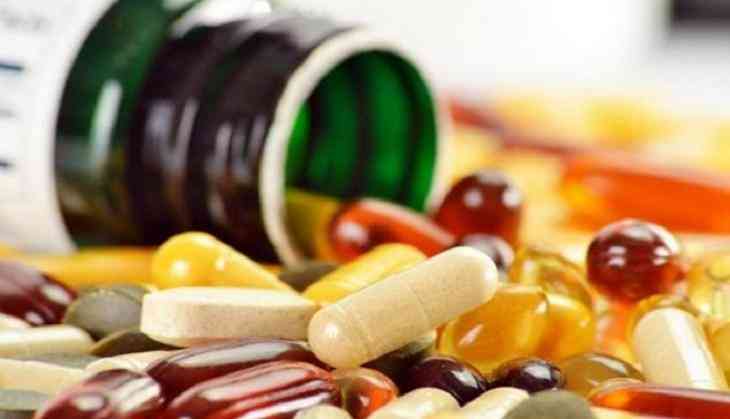 There are a number of supplements in the market. But you need to read the label carefully. Here's what, according to Manpreet Kaur, nutritionist at Proquest Nutrition, one should look out for and what you should guard against, while picking up nutritional supplements. 1) Nutritional supplements help athletes meet their increased protein requirement. Intensive training endurance athletes, athletes trying to gain muscle mass and strength athletes all need high-protein supplements in the initial stages of training. Even though the International Society of Sports Nutrition recommends that it is best for athletes to get their protein requirements from their diet, it is not always possible, so supplements are a practical and convenient way to meet the demand. Supplements with whey and casein protein, because of their "high protein digestibility, corrected amino acid score and ability to increase muscle protein mass, meet athletes' post-workout needs. 2) Creatine, in the supplement, aids muscle performance Protein supplements usually contain creatine. Creatine is said to improve strength, increase lean muscle mass, and help the muscles recover quickly after exercise. The European Food Safety Authority reports that, for high intensity workout, athletes who consume 3g of creatine everyday achieve "an increase in physical performance during short-term, high intensity and repeated exercise bouts". 3) Branched chain amino acids promote muscle protein synthesis. Studies have shown that branched chain amino acids (BCAA) in nutritional supplements improve recovery and exercise performance during intense workout. BCAAs are three amino acids -- leucine, isoleucine and valine -- with similar structures that beneficially influence the muscles. They help to promote muscle protein synthesis and minimise muscle protein breakdown without putting any substantial calorie load. 1) Health risks: Consuming too much protein in nutritional supplements over a period of time can increase the risk of developing osteoporosis, cause kidney stones and worsen existing kidney problems. Other side-effects includes: dehydration, constipation, increased bowel movements, nausea, cramps, bloating, reduced appetite, fatigue and interaction with medication. 2) Not always nutritionally balanced: Protein shakes are often marketed as meal replacements. However, not all of these are nutritionally balanced; excess intake of protein could also lead to nutritional imbalance and harm your digestive system. 3) May contain harmful substances: Many of us take supplements not just to make up for what's lacking in our diet, but also to give ourselves an extra health boost. But, some supplements may contain harmful ingredients which can be detrimental to health. Steroids, stimulants and hormones, sometimes included in some supplements, can result in kidney failure, seizure or heart problems. Read the label carefully. Pick a reputed brand - one that's safe and provides optimum nutrients for maximum performance!